Welcome to the REAL IHOP. Every country has a pancake: The flattened sweet or savory cake of various thickness, fillings, and toppings, bound in union with a batter (some sort of ground grain, egg, and milk/water). After being cooked in a pan they arrive on your plate to fulfill their glorious life purpose as the worldwide ultimate comfort food. These classic pancakes are often eaten for breakfast with butter and syrup (pure maple if Canadian, of course). The secret weapon to its signature thick and fluffy texture: baking powder. Mixed into the batter with eggs, buttermilk, sugar, and flour, baking powder allows the pancakes to rise into circular beds of heaven. Get the recipe. It's fluffy pieces of caramelized pancake named after the Kaiser Franz Joseph I of Austria (1830-1916) who REALLY loved it. You can eat it with nuts, raisins, apples and other sweet ingredients. Get the recipe. These petite, small and thick pancakes are popular as a snack or are served with afternoon tea. Would you like some jam and cream? Get the recipe. Pan-fried pancakes — typically made from dough, not batter — that are divinely chewy, flaky, and savory. Often served with a dipping sauce made from soy sauce. Get the recipe. Blini or blintz are thin pancakes common in many Eastern European countries. They're thicker than French crêpes, made with wheat or buckwheat flour and yeast, and filled with sweet or savory stuffing. These are Cheese Blintz Hot Cakes by Rachael Ray. Get the recipe. Thin pancakes made with plain flour, eggs, and milk. Traditionally topped with lemon juice and sugar. Like North American pancakes, Brits drizzle it with golden syrup, or like European pancakes, wrap them around savory fillings and eat it as a main course. This traditional recipe is by Kate Tait. Get the recipe. Baked in a rectangle or circular pan to a golden, puffy perfection. Then you can cut it up into single-serving slices and top with powdered sugar, cream, fruit, and other sweet fixings. Get the recipe. Thin, large pancakes that are flipped and cooked on both sides, then folded over sweet fillings like chocolate and fruit, or savory cheeses and sautéed vegetables. The batter is simple, made with flour, sugar, egg, and milk. This recipe is Warm Crepes with Hazelnut Brown Butter. Get the recipe. Thin pancakes traditionally topped with honey, cinnamon, and yogurt. Get the recipe. The Hungarian crepes. Get the recipe. Crepe-like. Cooked in a special Icelandic pancake pan like this one. Get the recipe. Made with blended batter of fermented rice and black lentil and mixed with spices and chopped onions. Get the recipe. Okonomiyaki, savory pancakes, comes from the word okonomi meaning "What you want" and "Yaki" meaning grilled. It's made with flour, egg, cabbage and a choice of whatever endless ingredients you want. Get the recipe. Flour pancakes with finely chopped kimchi and scallions. Get the recipe. Apam Balik meaning Turnover or Folded Pancakes are usually made with a rice flour blend, then stuffed with a sweet peanut filling. I love how they're usually presented standing upright. Get the recipe. 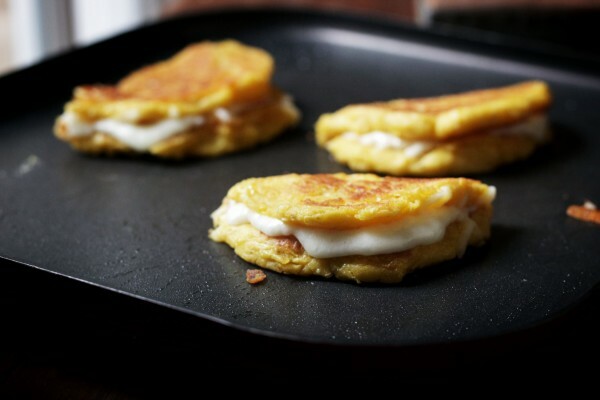 Mexican hotcakes are thick and fluffy, similar to American pancakes made with cinnamon. Get the recipe. A sweet souffléd pancake, often baked in a large, bigger than 12" pan. Then topped with sugar and fruit. Get the recipe. Small, thick pancakes made with yogurt or soured milk like buttermilk. Get the recipe. Scotch pancakes are small and thick. Often called drop scones. Get the recipe. A spongy flatbread made with raising yeast flour. It's similar to the Ethiopian injera. Get the recipe. South Africans also enjoy crepe-like pancakes. This recipe, takes a twist on the traditional crepe by using the filling of another traditional South African recipe, Milk Tart—the cinnamon custard with a spiced crumble. Get the recipe. Savory potato pancakes. Get the recipe. Naleśniki are the Polish verison of the common Eastern European Bilini or blintz rolled and filled with sweet or savory cheese. This is the Cheese Blintz by Smitten Kitchen. Get the recipe. Corn pancakes that are usually folded over fresh melted cheese. Get the recipe. We can't deliver food directly to your inbox. But the BuzzFeed food newsletter is the next best thing.